Martin Scorsese's latest film pays a personal tribute to Elia Kazan, one of Hollywood's and Broadway's most influential directors but also a controversial figure who turned anti-communist informant in the McCarthy era. 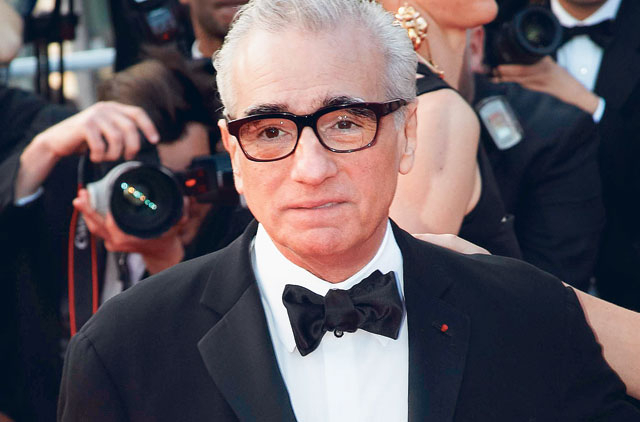 In A Letter to Elia, an hour-long documentary screening at the Venice film festival, Scorsese credits Kazan and his emotionally-charged, raw and realistic style as the inspiration for his becoming a filmmaker. He recalls in particular the huge impact that two of Kazan's best-known films, On the Waterfront with Marlon Brando (1954) and East of Eden with James Dean (1955), had on him as a teenager. "It's almost impossible to say how deeply I was affected by Kazan's films," Scorsese wrote shortly after Kazan's death in 2003 at 94. Scorsese discovered Kazan as a young boy going to the movies on his own in New York and was at his side with Robert De Niro when Kazan, whose films won 20 Academy Awards, received a lifetime achievement Oscar in 1999. That special award was hotly disputed because in 1952 Kazan had handed over to the House Un-American Activities Committee the names of eight members of the Communist Party who had worked at the Group Theater where he had started as an actor. Naming names cost Kazan, himself a member of the party between 1934 and 1936 before resigning in protest, many friends in Hollywood and among US intellectuals. His reason for doing so after previously refusing to testify is still debated. In his memoir, Kazan wrote: "I'd hated the Communists for many years, and didn't feel right about giving up my career to defend them. Was I sacrificing for something I believed in? I've repeatedly astonished people by what seem to be total reversals of positions and attitudes." In the documentary, which features a long interview with Kazan, he says that what he did was "only the more tolerable of two alternatives that were either way painful and wrong". Kazan, the immigrant son of a Greek merchant, says his best films came after that experience, although by then he had already made his name on Broadway with Death of a Salesman and A Streetcar Named Desire and co-founded the Actors' Studios. On the Waterfront and East of Eden, among others, broke the mould of sugar-coated characters that were Hollywood's main fare until then, bringing to the screen unconfessable passions, troubled family ties and the criminal underworld, Scorsese says. "They extended the limits of what was emotionally and psychologically possible," he says.